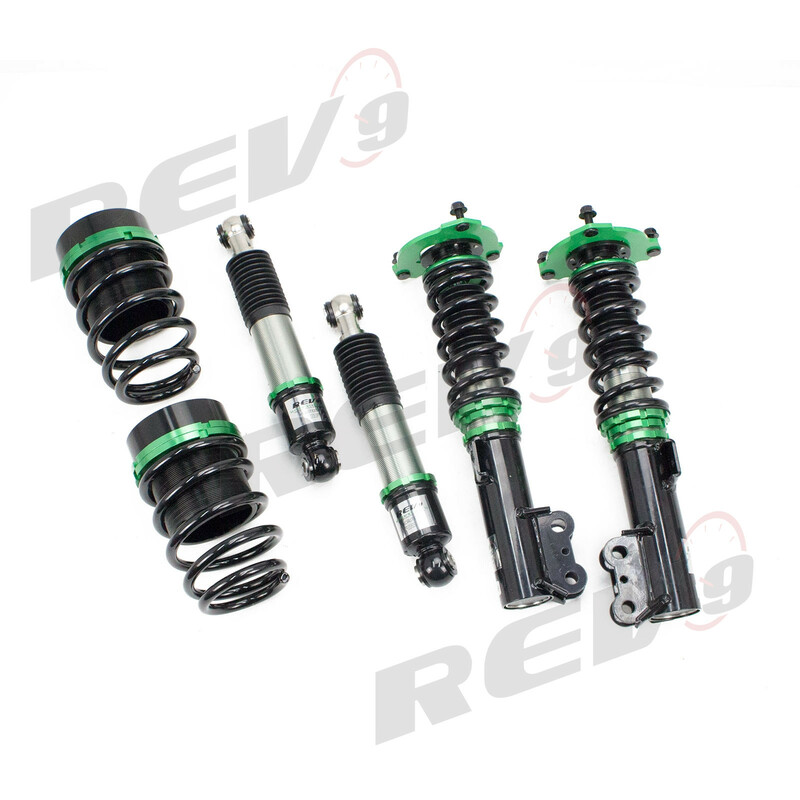 Hyper-Street II coilover suspension upgrade features mono-tube shocks with 32 clicks rebound settings and full length adjustable. 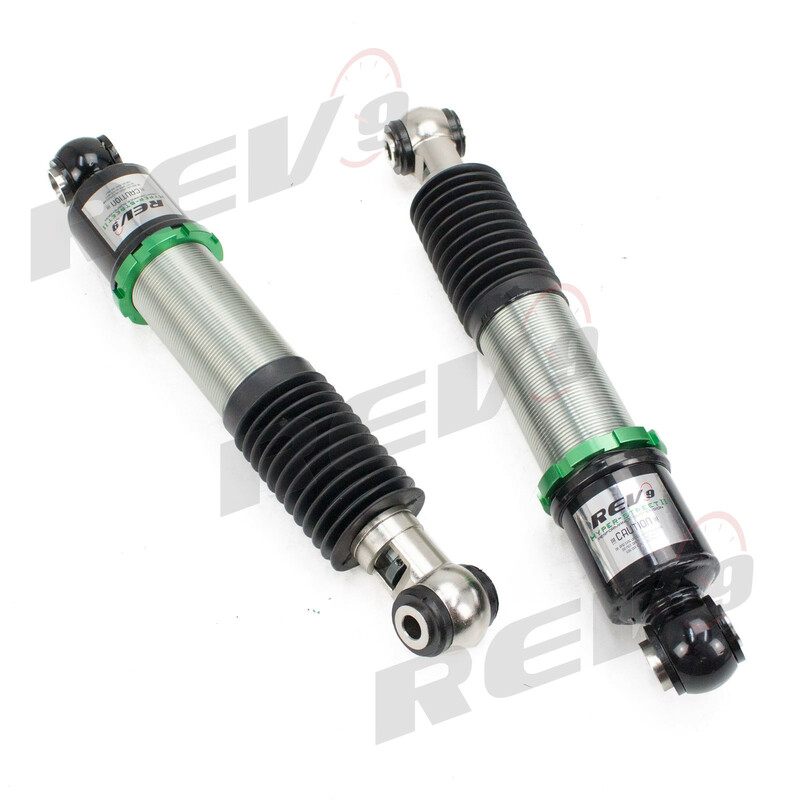 Mono-tube shocks provides larger capacity for gas and oil to improve comfortable level of typical lowering vehicle. 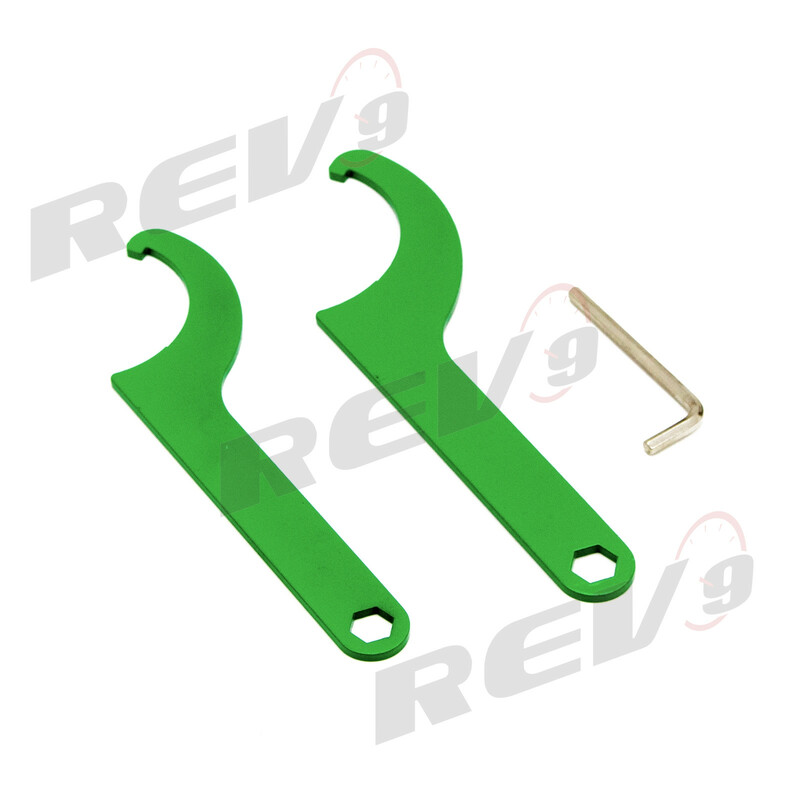 Special 32 clicks of valving allows user to fine tune rebound force settings. 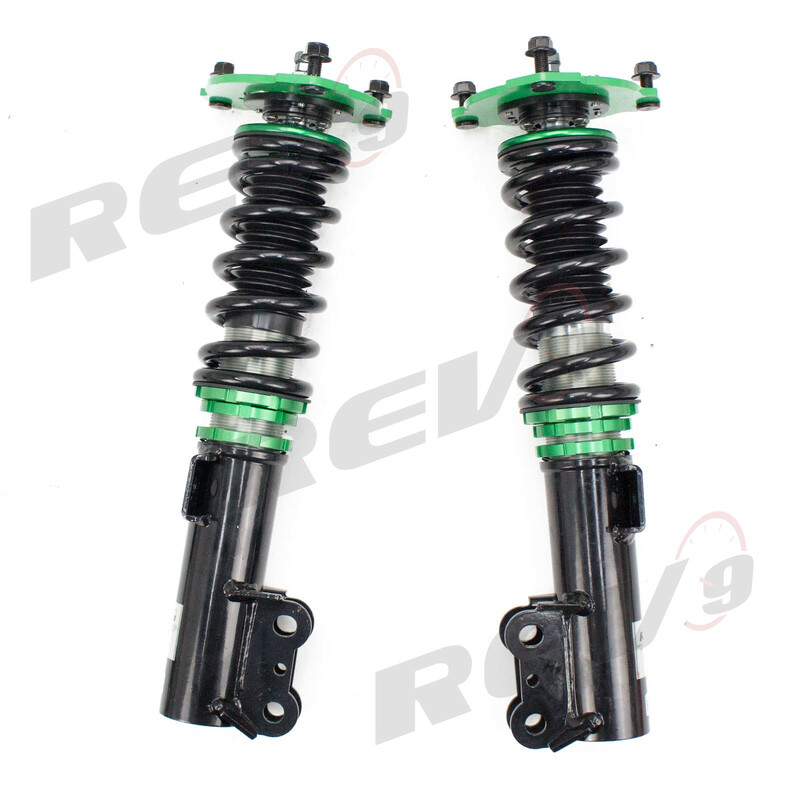 Independent spring tension and full length adjustable allows drop without sacrifice comfort by shorten pitch distance. Racing on the street is illegal, irresponsible, and dangerous. All performance parts are sold solely for hobby, off-road and track purposes only and is not meant for street racing nor driving. 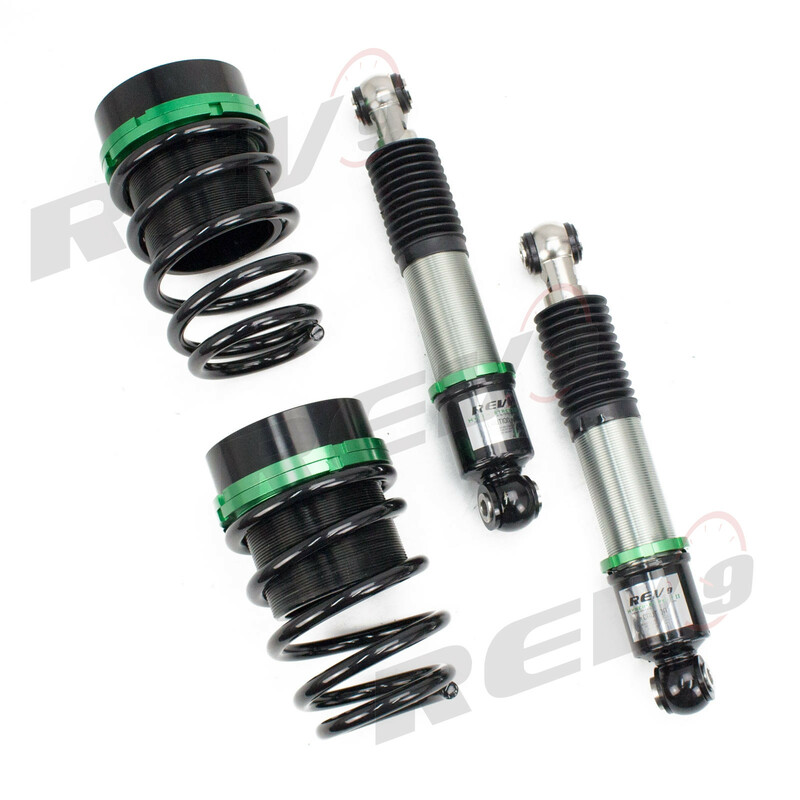 In buying performance parts from you agree to use these parts for legitimate off-street and track purposes only. , its management, and its employees intend for all of its customers to enjoy their purchases, within the legal parameters of your city, state, country, or where intended for use. As such, cannot accept responsibility for the irresponsible actions of those who do not adhere to their local laws. You should also contact your car's manufacturer to determine what effects modifications may have on your safety and vehicle warranty for installing these aftermarket performance products. In any circumstances, liability is limited to the purchase price of the product(s) sold. shall NOT, UNDER ANY CIRCUMSTANCES be liable upon a claim or action in contract, tort, indemnity or contribution, or other claims relating to the products it sells which exceeds this liability limit. shall NOT be liable for third party claims for damages against the customer, buyer or for malfunction, delays, interruption of services, loss of business, loss or damage to exemplary damages, whether or not is apprised of the possibility of such claims of damage. To the responsible racing enthusiasts out there, welcome to our store, by purchasing our product(s) the customer/ buyer understands and agrees to our policy, terms & conditions. 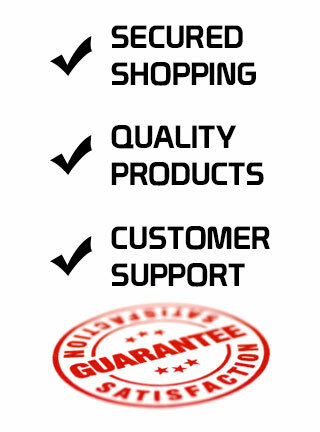 If you as the customer/ buyer does not agree nor accept the terms and conditions, our policy, please refrain from purchasing any of our products.